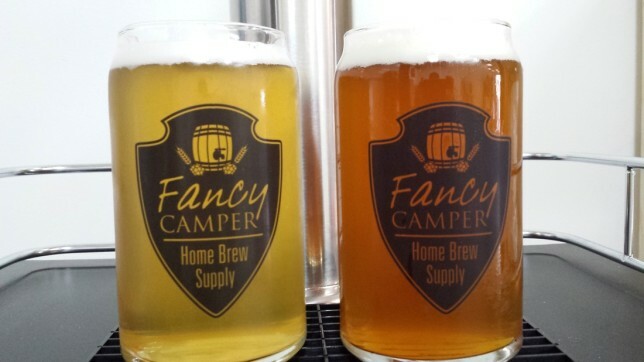 Fancy Camper LLC Home Brew Supply is located in Malvern, Pennsylvania and has been open since September 2015. 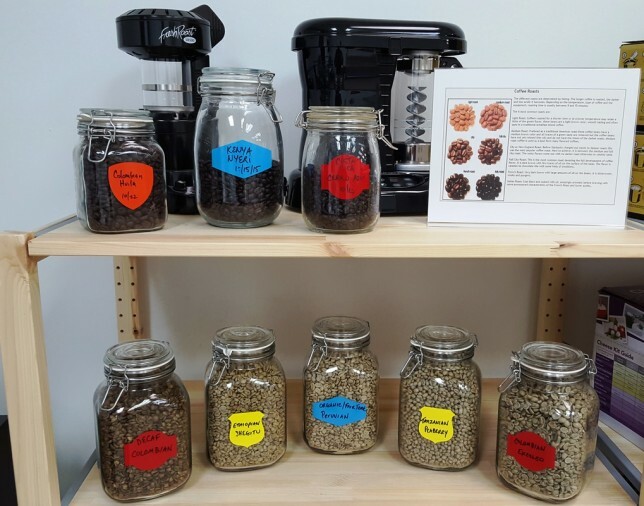 They offer a diverse selection of home brewing ingredients and equipment to support home brewers of all levels, as well as green coffee beans with coffee roasters, and cheese and wine making kits. We talked with Corey, who’s been home brewing for over fifteen years. After working in the corporate world for over a decade, he’s followed his passion of brewing and helping others make their own beer everyday. In college, I was introduced to the world of home-brewing when I worked at a brewery that brewed on-premise. I loved the creativity and process around creating different styles of beer and sharing them with friends. Now I get to share that same excitement with customers so they can craft their own awesome flavors of beer from home. Giving customers a vast selection of fresh ingredients and equipment means there are no limits to what they can create. The community here is really diverse and that’s what makes our customers so great. Some of the local residents home brew, as well as people from outside the area that commute in to work during the week. We’re on a busy highway in a suburb of Philadelphia, so we’re a great destination to drop in for some ingredients, equipment, or to just stop by and talk beer. On another level, the home brewing community is very supportive of one another and have established clubs that cater to all brewing levels. We try to keep that same support ethic here at the shop to make home brewing fun, easy and enjoyable. Before opening the shop I was doing some research around POS systems. I was attracted to learning more about Vend after reading some positive reviews online. As I found out more on the Vend website and watched the videos, I knew Vend was likely to be the POS system for me. By the end of the 30 day trial I was completely sold. It’s ease of use and online support was really helpful, especially since I was relatively new to retail. I instantly felt comfortable using Vend day in and day out. Each week I’m learning new features to run my business even better. I would definitely recommend Vend to similar retailers. My passion comes from seeing new home brewers get the brew bug! It’s so satisfying when a new home brewer comes back with their first home brew to share, ready to create the next batch. And it’s great to see experienced home brewers get excited about the vast selections of ingredients, which allows them to stretch the boundaries and brew something new. Supporting the local home brewing community feeds into my passions. As a home brewer myself, I think it’s one of the best hobbies on a number of levels. Home brewing can be the simplest activity possible, but at the same time can be extremely detailed and process-oriented, depending on the mindset of the brewer. That’s what makes it great! There’s so much to learn, and so many variables in making a great home brew. In the end, it’s about making great beer and having fun doing it. That’s what I love to convey to people who come into my shop. Basically, keep making lists. You should initially plan for every conceivable scenario and follow through with research, especially when choosing a POS. It’s critical to have everything documented, so when your business is ready to open or move on to the next step, there’s a list of items that can be prioritized. In a dynamic environment like retail it’s easy to forget crucial tasks. Keeping lists helps you stay on top of what’s important. 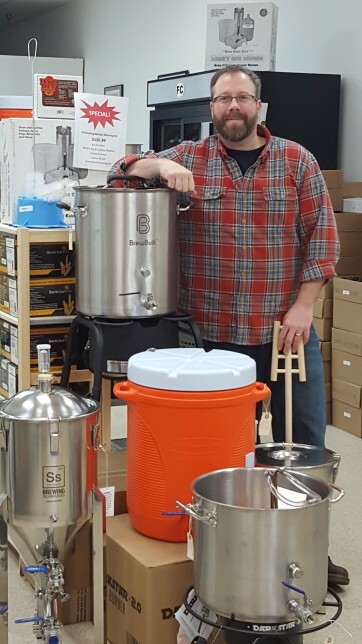 I’ve only been open for a few months, but my favourite retail tale so far is when I had a customer visit four times before buying a full beer making kit. He had a lot of interesting questions before making the commitment, and it was great to see how comfortable he was coming in before ultimately making a choice and jumping into home brewing. It relates back to the diverse mindset of home brewers. Some like to be very methodical and calculated with their brewing, while others prefer to wing it without precise measurements. This is the true art vs. science aspect of home brewing! 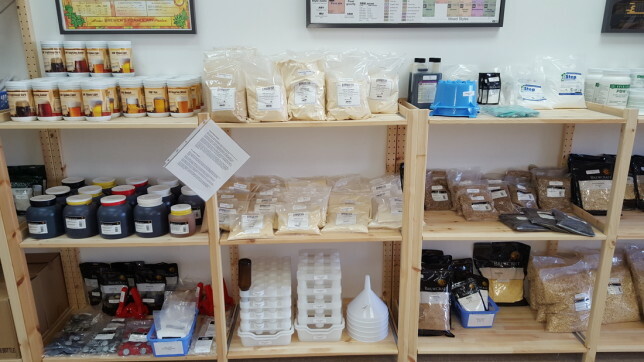 The post Vender of the Week: Fancy Camper Home Brew Supply appeared first on Vend Retail Blog.